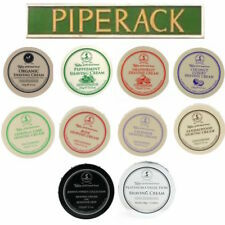 Luxury shaving soap refill for the Ceramic Dish, especially formulated for sensitive skin. Rich in Lanolin. CELLA Shaving Soap 150g. For use with a shaving brush to produce a rich, creamy lather. Traditional shaving soap enriched with Coconut oil & tallow. Classic soft soap, still made to the original Almond scented formula. Product can be used in a bowl or directly onto a brush. In a bowl, squeeze a large pea size amount of cream into the base of the bowl and take a wet (not soaking brush) and then work the cream. If it doesn't lather quickly simply add a 'touch' more water and keep working the cream. WILKINSON SWORD. Shaving Soap Sticks 50g x 2. Two 50g sticks supplied with a holder in cardboard box. Creates rich, foaming lather for shaving. Lasting lather specially formulated so won't dry on face. Disc-like shape fits easily in most mug sizes. Proceed with your shaving foam, cream or soap as usual. Formula Rinfrescante (refreshing) - suitable to regular skins. Grooming tip. 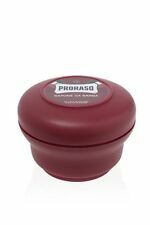 Arko Shaving Soap In Bowl Case 90g Arko Aftershave Cream. 1 Piece Arko Aftershave Cream 20ml. 1 Piece Arko Shaving Soap In Bowl 90g. Two 50g sticks supplied with a holder/travel case. Shaving Soap Stick x 2. Palm & Palm Kernel Oil based with added Glycerin & Lanolin. 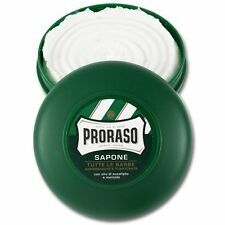 This soap uses Grooming Dept's "Lusso" base. It has only been used once (scooped) and has never touched water. Remaining: 99%. An allergen-free fragrance which contains Patchouli oil. Added Lanolin and Tallow make the performance and lather from this wool fat shaving soap very suitable for those with sensitive skin. Mitchell’s shaving soap refill is made to an exclusive 70 year old traditional formula. Bol à Raser - the up-market shaving soap at a mid-market price. Ceramic Dish containing a Mitchells Wool Fat Shaving Soap. Luxury shaving soap, especially formulated for sensitive skin. Rich in Lanolin. Magic-Shave-Shaving Powder/Razorless Hair Removing Cream -by Softsheen ® Carson! Contains Vitamin E, known to soften and smooth. Willow Herb and Pumpkin Seed Extracts are known to reduce the appearance of hair regrowth. 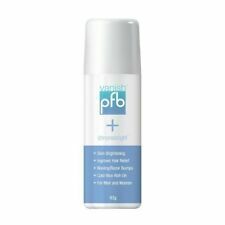 Aftercare lotion soothes skin after hair removal. Remove unwanted hair. Dr. Carver's Easy Shave Butter (6oz) [Dollar Shave Club] FREE SHIPPING!!! Veet Face Hair Removal Cream and Finishing Cream 50 ml. Give your skin an infusion of cool with Gillette Series After Shave Sensitive Skin Gel. It's the perfectly crisp and clean way to refuel your sensitive skin after a great shave. Get ready to get cool, calm and collected. CELLA Shaving Soap Block. Huge quantity:- supplied in a 1kg block (approx 12 x 12 x 6 cm), allows you to cut up into chunks and refill your bowl for at least a year of shaving, making it inexpensive and cost effective! Shaving Soap Refill 100g. Palm & Palm Kernel Oil based with added Glycerin & Lanolin. Sandalwood & Moss scent. Culmak Shaving Soap and Bowl contains a sturdy re-usable lidded soap bowl to keep your shaving soap fresh and clean between uses. The shaving soap is particularly mild on sensitive skin, which leaves the sking feeling smooth and refreshed. COOCHY Shave Cream by COOCHY. COOCHY Shave Cream. Sweeten the touch of your skin with frosted cake. Infused with a delicious blend of vanilla, butter cream & lilacs, you'll find delight in every bite of this delectable fragrance. Edelstahl Seifenschale mit Deckel - Rasierschale. Kein Austrocknen der Seife. Langlebig und leicht zu reinigen. Natürlich bruchsicher. Rasierseifen-Schale mit Deckel für die klassische Nassrasur. Der Händlerbund steht für Schaffung und konsequente Durchsetzung des Verbraucherschutzes und die Förderung von Sicherheit und Qualität im Onlinehandel. Waxing (248). GiGi No Bump Roll-on | 59ml. Waxing (2). Microwavable Wax (7). Wax Heater (19). Hair Colour (243). Hair Removal Kit (65). Hair Care (458). 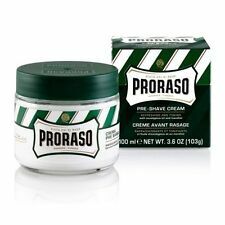 All four currently available Proraso shaving creams, including the new sensitive tube. For Course Beards:- enriched with Sandalwood oil, Coconut oil and Shea Butter. Suitable for thick and course beard-types. This Barbasol shaving cream works on all hair types. Vast majority of the products will arrive anywhere between 4 to 7 weeks if not sooner. I always reply within 24 hours if not less. Pure Romance Coochy Love Story Brand New - Earn Free Shipping!